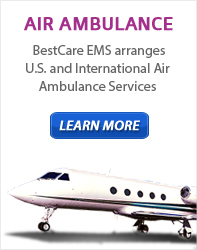 BestCare EMS – Ambulance & Air | What is a DNR Order? A DNR (Do-Not-Resuscitate) is a medical order by a doctor that allows patients to refuse specific life-sustaining treatments outside the hospital. An Out-of-Hospital DNR form or ID will tell health care providers not to use CPR and other life-sustaining techniques. If you do not have an Out-of-Hospital DNR Order, health care providers may do everything medically possible to revive you. Ask your doctor for the Out-of-Hospital DNR Order. Complete the form. Keep your original form. Talk with family, clergy and/or friends. You can also notify health care providers of your decision by wearing an approved ID necklace or bracelet. Anyone can use an Out-of-Hospital DNR Order. To show that you have an Out-of-Hospital DNR Order, you must have your original form or a copy of the completed form with you or wear an approved ID necklace or bracelet. Additional questions?... Call BestCare EMS at 713-661-3443 or Fill out our Online Contact Form for more information about our Emergency Medical Services and policies. What precautions do you take when transporting Children & Child Patients? What’s the Difference between Basic or Advanced Life Support?